EMBRACING LIVES - Make an Impact Today and Tomorrow! What began as a dream in 1959 with 12 young children with severe disabilities has expanded dramatically into a legacy of caring. Over the past 50 years, the Heinzerling Foundation has cared for hundreds of children and adults with severe and profound developmental disabilities providing educational, medical and therapeutic care in a loving and nurturing environment. However, current living spaces for our residents have become very crowded. It is apparent that we need to develop new living spaces and renovate our current facilities to provide more personal space and privacy to enhance the quality of life for our residents. The Heinzerling Foundation has launched a capital campaign to fund construction of new, smaller homes on the west side of Columbus and support renovations to our existing facilities. The first two new 8-bed homes are under construction and are located very close to the existing location. 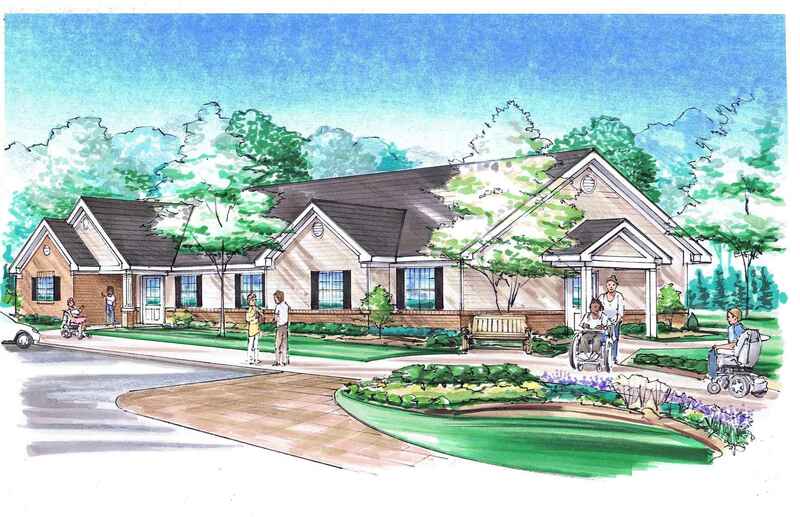 These new buildings are designed to be smaller homes that will include such features as private bedrooms, a family room, a dining room, a kitchen, and a large screened-in patio. We will also be renovating our current facilities in the future to provide residents with semi-private rooms and more living space. All of these changes will positively impact our residents and the quality of life we can provide for them. The total goal for the Embracing Lives Capital Campaign is $12,000,000 with a Phase 1 goal of $3,000,000. To date, we have raised more than $1,000,000. Please help us reach our Phase 1 goal by making a contribution today. For questions about making a donation to the campaign, please contact Brian Asbury, Director of Development and Public Relations, at basbury@heinzerling.org, or 614-272-8888. Thank you very much for your generous support of our residents and their future!